FREEFORM TWISTED RIBBONS OF BRICK KIT PRICE REDUCED FOR A LIMITED TIME! 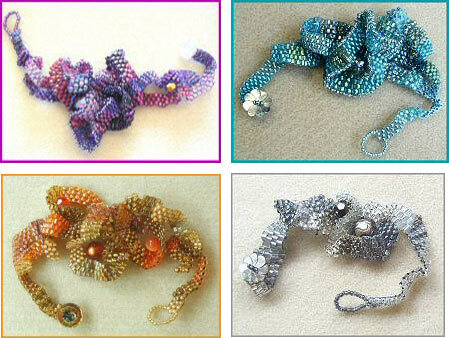 Description: Learn a unique freeform sculptural brick stitch and create 3-dimensional flowing ribbons of beads. Once you learn the technique, the possibilities are endless. Make a brooch, pendant or a bracelet. Technique: A unique freeform sculptural brick stitch. Color Options: Kits come in 4 colors: Teal/Green, Purple/Fuchsia, Gold/Orange, or Silver/Gray.